Holy Fiesta! Bienvenido Wufoo Español! We are excited to announce that after months of listening to tapes and practicing with flashcards, Wufoo is now bilingual! 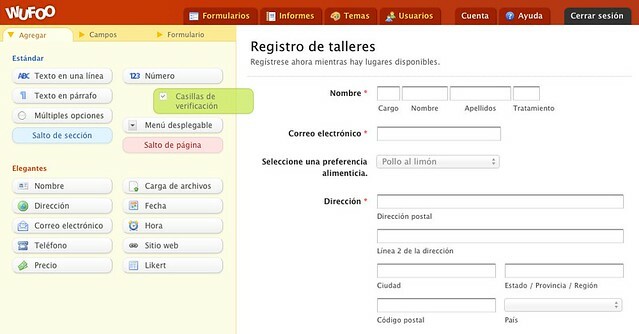 If you look at the footer, you’ll see a new dropdown that will allow you to access [Wufoo Español](http://wufoo.com.mx), a Spanish version of our site and app! Just to be clear, while the forms you built in Wufoo have been available to your users in [46 different languages](http://www.wufoo.com/2011/08/09/sweet-tower-of-babel-wufoo-forms-are-fluent-in-46-languages/) for awhile now, our marketing, support and application was all only available to English speaking users up until yesterday. With the addition of Wufoo Español and a dedicated support team to deliver the same level of service many of you have come to expect, we’re delighted to be able to open up Wufoo properly to our Spanish speaking friends. 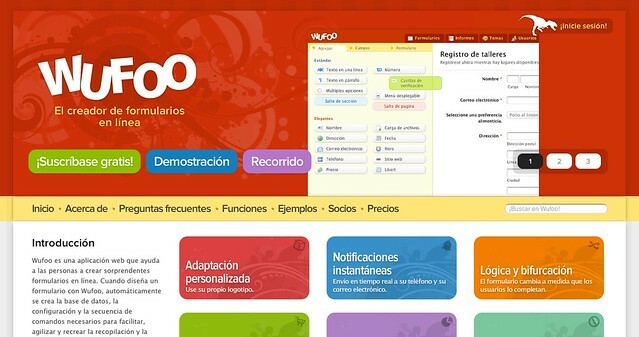 To access Wufoo Español, it’s really easy. If you live in a Spanish speaking country or your system is setup to be localized in Spanish, we will do our best to automatically detect your preference and redirect you appropriately. Otherwise, you can always flip the switch using the Preferred Language dropdown at the bottom of the site. And for those of you worried about the essence of Wufoo being lost in translation, I can assure you that we spent a lot of work to make sure it’s just as much fun in Español as it is in English. For example, instead of our beloved Shakespeare quotes, you’ll see some choice lines from Don Quixote! Currently, Wufoo Español is located on the Mexican domain name at [wufoo.com.mx](http://wufoo.com.mx), however, we do have plans to roll out additional localized versions for Spain and Argentia. Another thing to be aware of is that the prices on our plans are still in U.S. dollars. We just want you all to know that we are planning and actively working on offering our services in the appropriate foreign currencies as well. Be patient, and we’ll be sure to let you know when we can offer plans in your preferred denominations. Obviously, a conversion like this could not have been pulled off so well and so quickly without a lot of talented people helping us out. While every member of the Wufoo Team needed to be involved in making Wufoo Español possible, the mastermind and architect behind our engineering transformation was done by our very own Alex Vaquez. He pretty much worked in a hole for several months all by himself to turn our PHP straw into language gold. I owe him a lot of fried ice cream for his fine work. This is our second major collaboration with our friends on the SurveyMonkey International Team. It’s been a real delight to work with all of them on this little fiesta and so shout outs go out to Helga Wissenbach and Minna King for guiding us on our international journey. We also want to thank Mark Elkin, Conny Hayes, Andrew Saxe and David Kim over at [Smartling](http://www.smartling.com/) for helping us adapt what is a truly amazing technology. Wufoo Español would have been so much less without their involvement. High fives go out to Clover van Steenberghe, Hiroko McCoy and their army of very patient translators at [ABLE](http://www.ableinnovations.com/) for taking the time to help us translate what I do not doubt, were some very strange references and quirks. Our ability to provide support natively in Spanish is made possible by Heather Shoemaker over at [LinguistNow](http://www.languageio.com/products/), who developed the technology to help us translate our documentation, and Alex Lemuz, who was graciously lent to us by SurveyMonkey to provide Wufoo support to our new Spanish users. Lemuz, along with Isabelle Galdamez also spent a lot time helping us test and identify any holes we missed as we worked through this translation. Thanks again to anyone we might have missed here. Obviously, this is just the beginning of our international journey. Now that we’ve laid down the foundation, we’ll be hard at work bringing into the world versions of Wufoo in many other languages. Keep up to date and get the most out of Wufoo. [Sign up](https://master.wufoo.com/forms/wufoo-newsletter-sign-up/) for the Wufoo newsletter. Next Post: We're Hitting The Road Again for BarCamp Tour 2012! Ya’ll have some of the best customer service I have ever experienced. Seeing these newest updates and reading through the past ones that have rolled out just blow me away. I’m very thankful for the service the Wufoo team provide. Thank you all for your constant reevaluating and improving mentality. Its a joy to have Wufoo as a resource. I look forward to just how far ya’ll will go! Posted February 16th, 2012 by Prince. Posted February 16th, 2012 by Ben Tupper. Posted February 16th, 2012 by Rebecca Thorp. Posted February 16th, 2012 by Patas. Posted February 16th, 2012 by Tom. Sweet! Mega liking that approach to serve global markets. I’ve been using wufoo for quite a While and being my self a Mexican living in the US doing business in the TJ/SD border I really appreciate using all the necessary tools available on both sides of the fence. Saludos and keep up the good work and the forward thinking. Posted February 16th, 2012 by Jose Luquin.